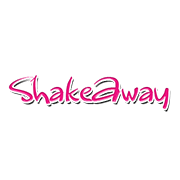 Shakeaway is the original re-inventor of milkshakes and started a cult following in 1999 with the first shop opening in the sunny seaside town of Bournemouth, you liked it so much we now have stores around the world. Now with over 180 flavours and millions of possible combinations, each milkshake is freshly made to order for every customer. The choices are endless such as ferrero rocher & daim bar, real fruit such as banana and passion fruit, luxury shakes such as lindt truffles and black forest gateau, the millionaire’s milkshake made with real 23 carat edible gold and our fizzy pop shakes made with real coca cola, red bull and more.